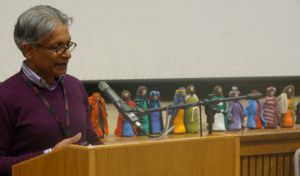 National Synod of Scotland spring meeting was constituted by Revd Fiona Bennet (alternate Chair) and the Moderator who led us in worship. 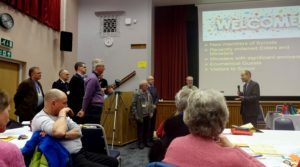 This included welcoming new members to Synod Meeting, new ministers and elders, marking ministers with significant anniversaries, ecumenical guests and our visitors to Synod Michael Jagessar and Steve Tomkins. 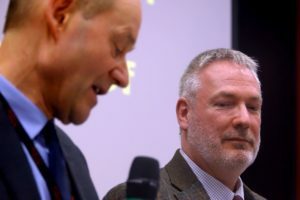 Revd John McNeil Scott was inducted as Synod Training and Development Officer. Michael Jagessar and Catherine McFie introduced this and again more will be heard at workshops on Saturday.